The best way to cook fish in order to taste its freshness is by steaming it. It doesn’t require a lot of ingredients and it’s a very light and healthy meal. Pat dry the fish and place it on a plate and set the plate on top of a wide-mouth wok or large skillet as the base with a metal stand to balance. (The stand can be found at Chinese supermarket). Make sure the water is about 1 inch beneath the plate. Cover and steam over boiling water for 7 minutes. You may need to adjust the time accordingly by the size of the fish. Check fish for doneness. When cooked, the flesh will be white and pull easily from the bones. Remove fish from steamer and pour off the liquid accumulated on the plate. 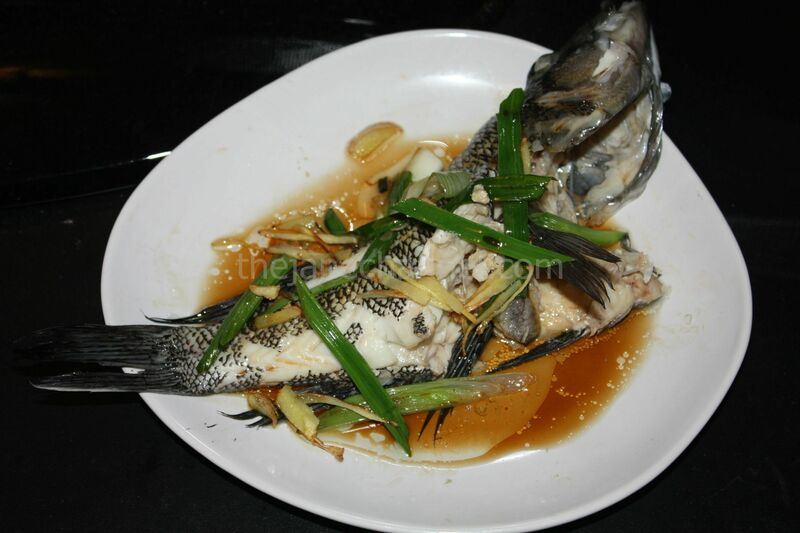 Heat oil in the saucepan, pan fried scallions and ginger for 1 minute, then pour it over the fish. *You can also place the scallions and gingers on the fish and pour the boiled oil on top. Pour soy sauce and sesame oil on the fish.